In these lessons, we will give a review and summary of the properties of angles that can be formed in a circle and their theorems. Inscribed angles subtended by the same arc are equal. Central angles subtended by arcs of the same length are equal. 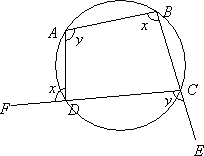 The central angle of a circle is twice any inscribed angle subtended by the same arc. Angle inscribed in semicircle is 90˚. An angle between a tangent and a chord through the point of contact is equal to the angle in the alternate segment. The exterior angle of a cyclic quadrilateral is equal to the interior opposite angle. 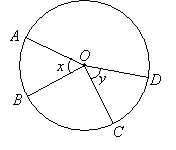 A radius or diameter that is perpendicular to a chord divides the chord into two equal parts and vice versa. 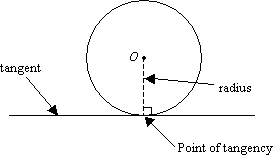 A tangent to a circle is perpendicular to the radius drawn to the point of tangency. When two segments are drawn tangent to a circle from the same point outside the circle, the segments are equal in length. 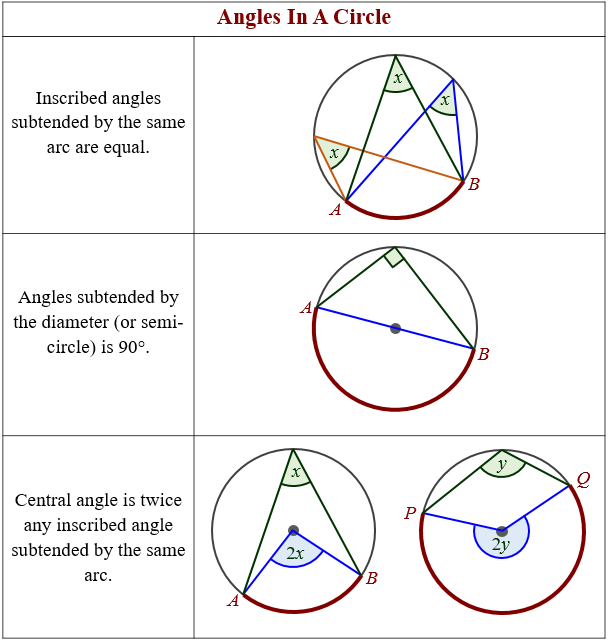 The following figures show the Inscribed Angle Theorems and Angles in Circle Theorems. Scroll down the page for more examples and solutions of Inscribed Angle Theorems and Angles in Circle Theorems. The following diagram shows inscribed angles subtended by the same arc are equal. ∠ x = ∠ y because they are subtended by the same arc AEC. The following diagram shows central angles subtended by arcs of the same length are equal. 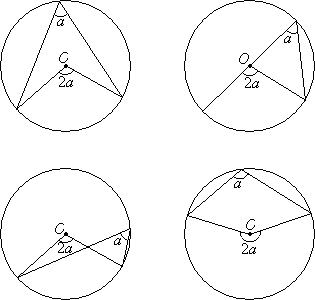 The following diagrams show the central angle of a circle is twice any inscribed angle subtended by the same arc. The following diagram shows the angle inscribed in semicircle is 90 degrees. The diagram shows an angle between a tangent and a chord through the point of contact is equal to the angle in the alternate segment. The following diagram shows the exterior angle of a cyclic quadrilateral is equal to the interior opposite angle. The exterior angle ∠ ADF is equal to the corresponding interior angle ∠ ABC. The exterior angle ∠ DCE is equal to the corresponding interior angle ∠ DAB. In the above circle, if the radius OB is perpendicular to the chord PQ then PA = AQ. This video gives a review of the following circle theorems: arrow theorem, bow theorem, cyclic quadrilateral, semi-circle, radius-tangent theorem, alternate segment theorem, chord center theorem, dual tangent theorem. This video gives a review of the following circle theorems: same segment, subtended by arc, angle in semicircle, tangents equal length, radius tangent, alternate segment, bisect chord, cyclic quadrilateral. 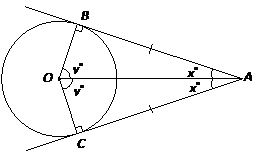 It also includes the proofs of the theorem.